This beer is rich, creamy brown in color. The aroma is of caramel malts, dried dark fruits and mild fruity yeast esters. The unique combination of grains and molasses create a rich and malty full-bodied beer that is balanced by the subtle flavors of rye and hops that lead into a slightly dry finish. 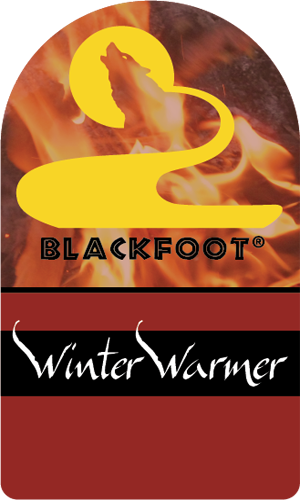 Blackfoot River Brewing Company’s Winter Warmer is brewed with Montana grown and malted 2-row pale malt, English Golden Promise malt, English Crystal malts, Iowa Flaked barley, Canadian Honey malt, English black malt, German malted rye, and American made blackstrap molasses.